Buying a new home or moving into a new rental can be an exciting yet stressful time. Life never seems to slow down as you’re juggling work, family, commitments, and packing for a big move. The last thing you want to think about (or should think about!) is spending hours and energy on move out cleaning in Colorado Springs. Save yourself the hassle by hiring a cleaning service to handle this task for you. The following are four reasons why you’ll save time and hassle when you choose move out cleaning services. Unpacking, organizing, and getting settled in your new home is a challenge in itself. It may take a week or more to unpack your boxes and feel settled in your new place. Move out cleaning services allows you the time and energy you need to focus on unpacking and organizing instead of juggling the task of cleaning your old home. Give yourself a break to focus on your new home and let someone else handle the move out clean up. 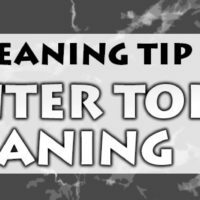 The task of deep cleaning of dirt and grime in corners, cabinets, under furniture, and high on shelves is not for the faint of heart. It requires scrubbing, reaching high and low, and can take a significant amount of your precious time. If you have one weekend to move your belongings and clean your old place, you’ll be pressed for time. Schedule a move out cleaner to arrive after your things are moved and leave your old home sparkly clean for the new tenants. The truck is packed, you’re hitting the road, and there’s no time to clean up what’s left behind. No problem. Before you move, schedule move out cleaners to deep clean your home behind you. When time is of the essence, professional cleaners offer the relief you need. There’s nothing worse than arriving with excitement to a new place to discover you need to clean before you can unpack. Give the new tenants the gift of a fresh start by hiring professional moving out cleaning in Colorado Springs. This offers goodwill to the new occupants and you’ll have more time and energy to focus on your fresh start. Are you moving soon? Would you and your family benefit from move out cleaning in Colorado Springs? Look no further. Call us at Maid to Shine to schedule move out cleaning services today. Nice article.I tried move out cleaning by shifting to different flat.Results are really better.Each and every corner of my flat is cleaned.Thanks for giving me this great idea! I appreciate the idea of hiring professional cleaners during move out,It is not much expensive & provide best results.Thanks for sharing! I find your suggestion on deep cleaning a house to get rid of dirt and grime at corners and furniture to be cool. My brother is thinking of downsizing his house and move into an apartment unit. What kind of cleaning service should I look for to help get his house ready to be sold?